The intention of this experiment is to investigate a physical feature of (red semitransparent) jelly. 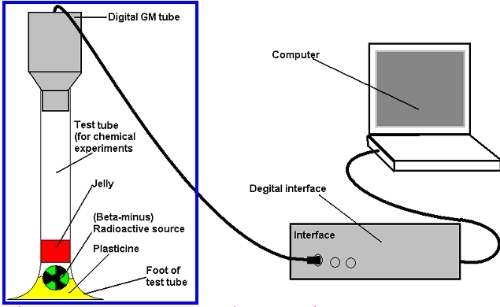 This report will focus on the amount of beta-minus (β-) radiation jelly can absorb as the distance the radiation has to travel through the jelly increases. Thus my research question is:What is the relationship between the number of β particles passing through a sample of jelly and the thickness of the Jelly?